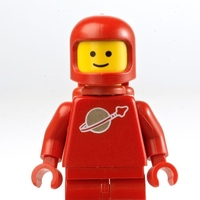 40 years ago LEGO sent explorers to the Moon. It is now time to send explorers back to space! It is now time for Mission to MARS!!! 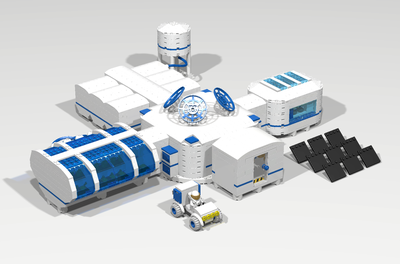 Mission to Mars imagines a science and exploration base on Mars with a spaceship that is capable of shuttling the whole Base to a new location. 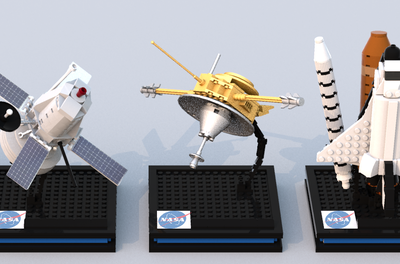 Command & Science Module - operational in space and on land. Fully equipped with communication and scientific devices. Spaceship - operates as a test bed for the experimental Hyper Drive, as well as a shuttle to transport every component of the base to a new location on Mars. Crew of Five Astronauts - Captain Joe, AstroGeologist; Dr. Mary Anne, AstroBiologist; Dr. Plant, AstroBotanist; Lieut. Vitale, Engineer; Lieut. Brook, Pilot. 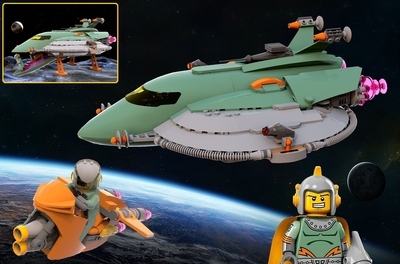 This project is deeply inspired by LEGO Classic Space. It is about recreating and celebrating its spirit of exploration, imagination, adventure and excitement. It is also about imagining how it might look with today's new parts, colors and advanced building techniques. It is about imagining Classic Space on Mars. 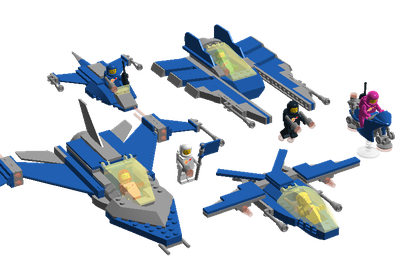 If you like this project and want to see it produced by LEGO, click the SUPPORT button at the top of the page, and share to spread the word! All images of Mars, Mars' landscape and The Milky Way are courtesy of NASA/JPL-Caltech/Cornell.